We’ve been ready for our new grandchild to make an appearance. 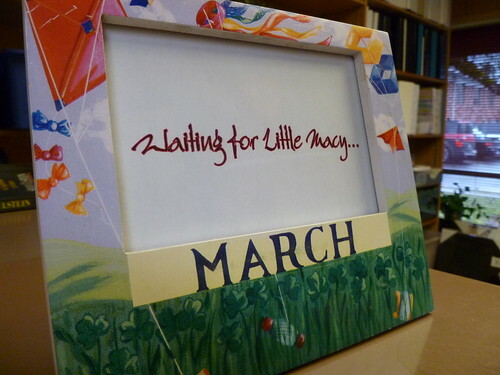 But March came, and I was forced to put something generic in my March frame. 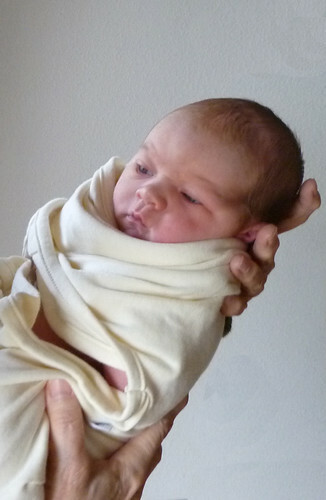 And then…on Wednesday morning, March 2, Erin delivered a sweet baby girl. 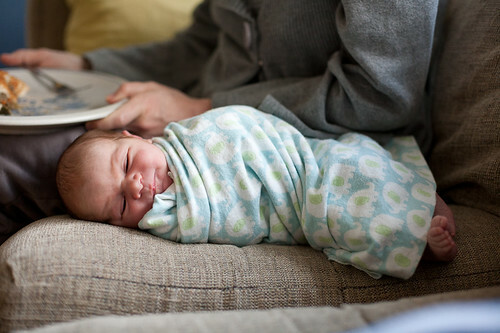 She and John named her Sage Charlotte-Rose Macy. And we think she is quite perfect. We didn’t know the gender or name in advance, so when I chose a sage-colored sweater to wear to work that day I couldn’t have known it would hold such memorable significance. 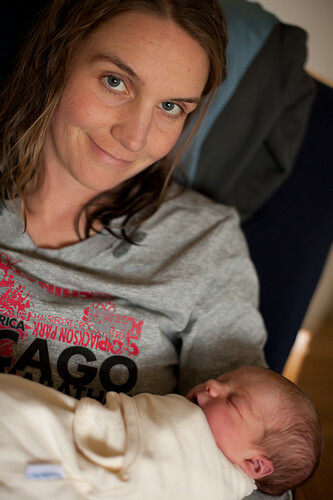 The tired (from 15 hours of labor) but very happy mama. Her Uncle Pete and Aunt Linsey. Linsey witnessed the birth as the official photographer. See what I mean? Quite perfect! And right at home. Welcome to our family, Sweet Baby Sage. Yes, perfect and beautiful! Congratulations to all. 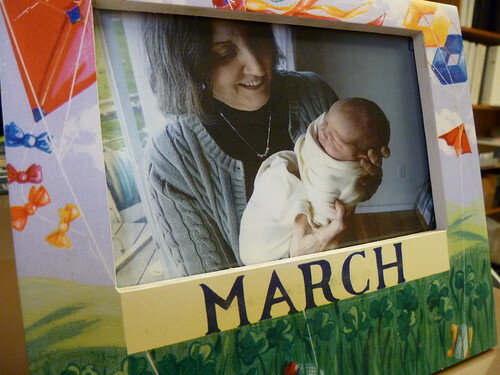 Love the photo of Mauri holding her! Aw shucks. I’m getting all teary-eyed here. And I love the significance of the middle name. I join PJ with heart and eyes full of gratitude for this beautiful, precious babe! Is her hair as red as it looks? I hope so. PERFECT !! PRECIOUS !! 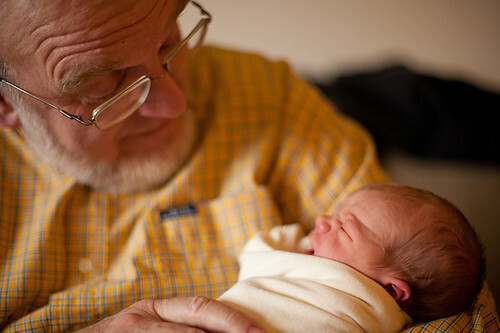 It never ceases to amaze me to witness God’s blessings upon our fragile lives. (The word Sage is also defined as wise and worthy of respect – and then the middle name just makes you want to hug and squeeze her!) CONGRATS !! Beautiful! Congrats to GUM and GUS. Love the pictures. Congrats to the new mom and dad…she’s a gift from above and simply lovely. Congratulations to all of you!! She is a beautiful baby – enjoy! She will need to be told at some time that I am holding a great deal of research about Charlotte Macy for her. I hold it in trust and the passing of Mahlon this week makes it more poignant.